You don’t have to be terminally ill like the characters Morgan Freeman and Jack Nicholson played in the 2007 movie Bucket List to start checking things off your life’s to-do list. Stop procrastinating. Haven’t you always wanted to cycle all the Portland bridges? See a drive-in movie before they’re gone? Do something geeky? Take the kids stargazing or whitewater rafting? 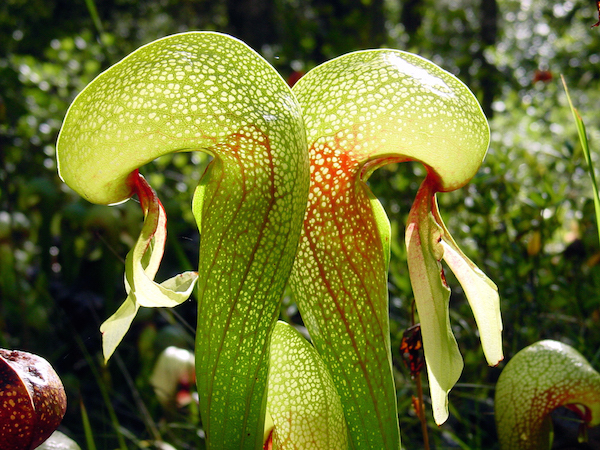 Discover carnivorous plants on the Oregon Coast? If you haven’t put that list together, we offer a few ideas for active, decadent, kid-friendly and nerdy bucket lists. 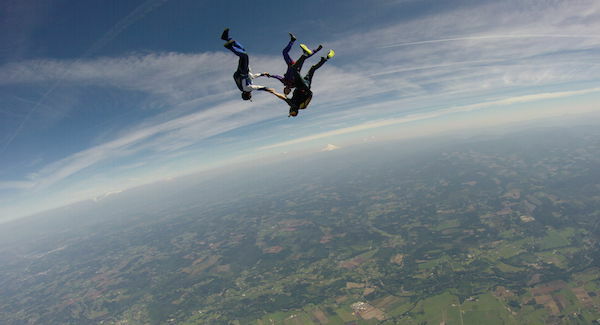 It’s a bucket-list cliché, but skydiving is anything but familiar when you experience it yourself. “You’re so scared the first time,” Randy Raburn of Portland recalled of his maiden voyage. “But as soon as you hit the ground, the rush is over, and you can’t wait to go again.” Like most first-timers, he went tandem, strapped to an experienced professional. 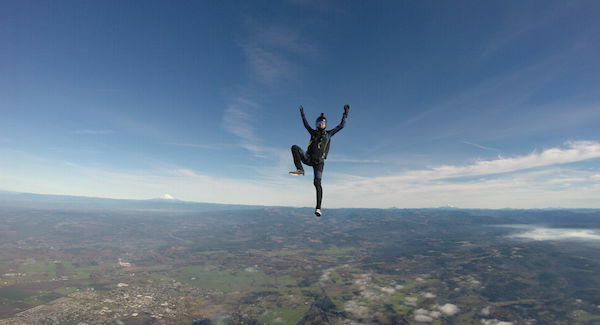 Theresa Baron, manager at Skydive Oregon in Molalla, said the hardest part is deciding to go. “Most people are nervous, but once they jump, they often scream with delight or laugh,” she said. Skydive Oregon is the largest and only private airport in Oregon dedicated solely to skydiving, she said, adding that it has a perfect safety record with no deaths among students. Up to seventeen passengers jump from the company’s turbine Cessna Caravan from 13,000 feet. The freefall lasts about a minute. Once the parachute deploys, it’s a totally different experience, Baron said—quiet and peaceful as you float over the landscape. 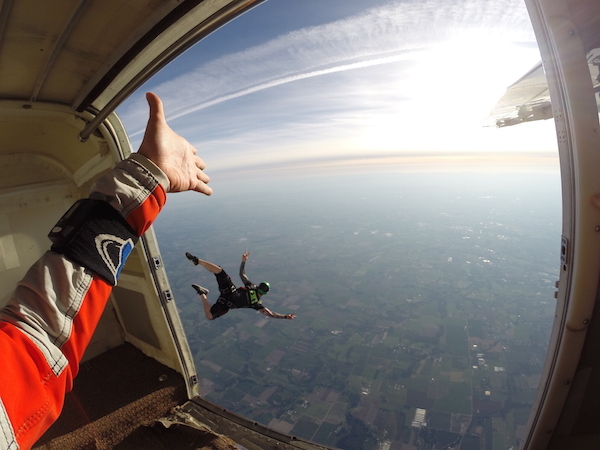 The only requirement for skydiving is that you are in good physical condition so you are able to help with the landing. Escape the digital world with a whitewater rafting trip down the Rogue River in Southern Oregon. Rogue Wilderness Adventures, one of many professional outfitters on the river, offers several options for families. Owner Brad Niva suggests a four-day trip on the forty-mile Wild and Scenic section of the river. Rafting starts at Grave Creek and ends at Foster Bar. Camp the first two nights, and spend the third at rustic and historic Paradise Lodge—no cell service available. “I believe kids should have the chance to fall asleep under the stars, with sand and sunscreen in their sleeping bags and marshmallows around their lips,” Niva said. Rogue Wilderness Adventures also offers shorter trips on the recreation section of the river. Try Hog Creek to Grave Creek. Not precisely a restaurant or a cooking school, EVOO is a dinner show where you eat the show, said owner Lenore Emery. The show consists of a four-course meal that she and her husband, Bob Neroni, prepare from scratch with locally sustainable and organic food from the Northwest. 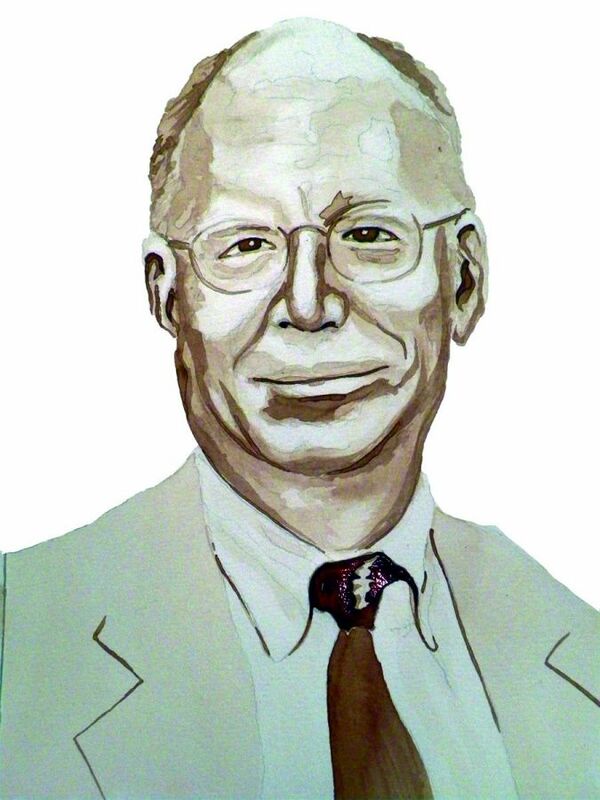 “I’m a nutrition-crazy person, and Bob is an excellent teacher,” Emery said. The two combined their skills and passion into a nightly cooking show for people who love to eat. In its eleventh year, EVOO (“extra virgin olive oil”) serves dinner five nights a week for up to twenty-two guests. Reservations are required, and if you can’t get into a show, pick up lunch from the culinary store and eat it on EVOO’s deck with a glass of wine. 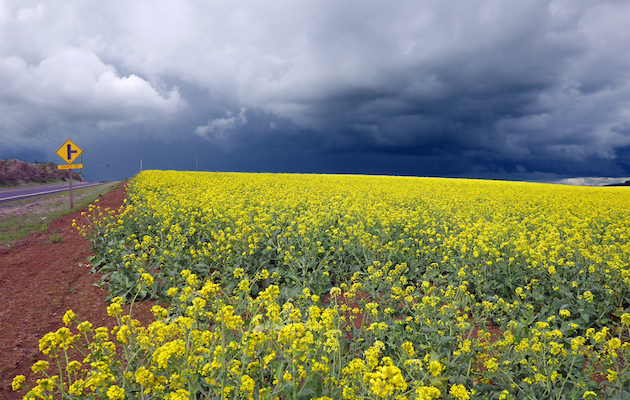 The fifty miles between Florence and Newport on Highway 101 are so full of natural wonders and family-perfect activities that you’ll never hear whining from the back seat. 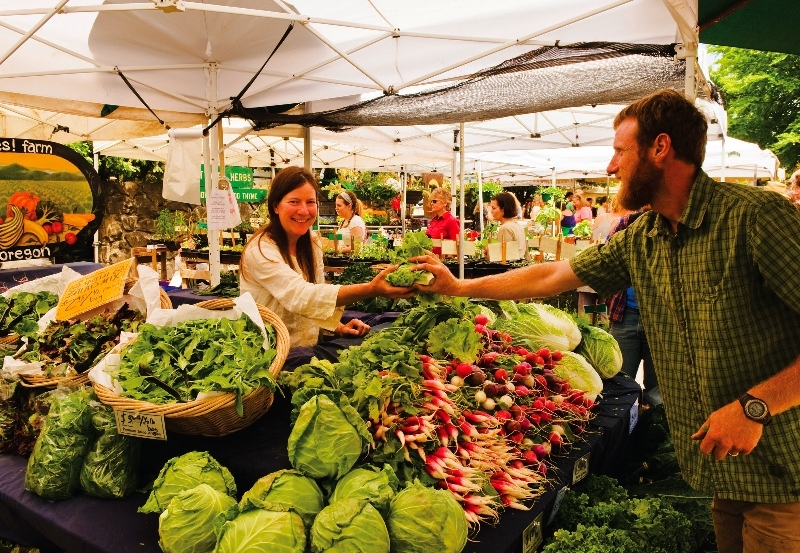 To maximize the experience, do it over two days with an overnight in Yachats or Cape Perpetua Campground. Start at Jessie M. Honeyman Memorial State Park, Oregon’s second largest campground, three miles south of Florence. It has two freshwater lakes and abuts the Oregon Dunes National Recreation Area. Try sandboarding or rolling down a dune. Five miles north of Florence is a rarely visited state park and botanical preserve, Darlingtonia State Natural Site. Take the ten-minute hike into the small marshy park to see the insect-eating Darlingtonia californica. Next up: the newly restored Heceta Head Lighthouse, one of America’s most photographed lighthouses and the brightest light on the Oregon Coast. Take one of the daily tours March through October. Cape Perpetua Scenic Area south of Yachats is an 800-foot headland covered in old-growth forests with panoramic ocean views and visitor center at the top, tidal pools and spouting horns at the rocky base. Twenty-seven miles of interconnected hiking trails are perfect for stretching your legs and letting the kids run. Tent camping is available at Cape Perpetua campground. The final stop is Newport, about half an hour from Yachats. Go to the Oregon Coast Aquarium or Hatfield Marine Science Center, which has family programs all summer. Cross into Newport over the arching and spectacular Yaquina Bay Bridge, built in the 1930s, and spend the rest of your day flying kites or building sand castles at Nye Beach. On May 11, 1950, McMinnville farmers Evelyn and Paul Trent witnessed and photographed a flying saucer, launching a worldwide frenzy into the authenticity of the images. After numerous investigations by top scientists over decades, the Trent sighting is still considered one of the most credible. 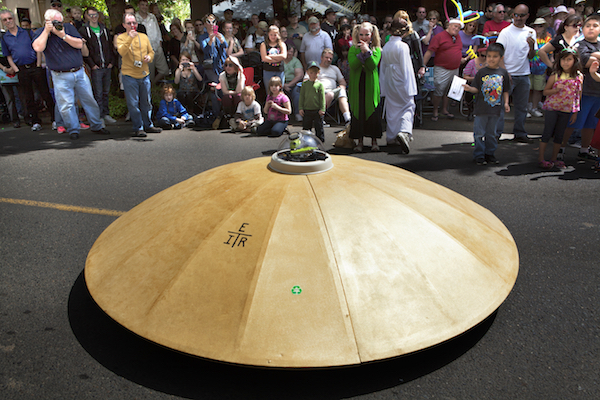 To honor this sighting, McMenamins Hotel Oregon and the McMinnville Downtown Association sponsor an annual UFO Festival. 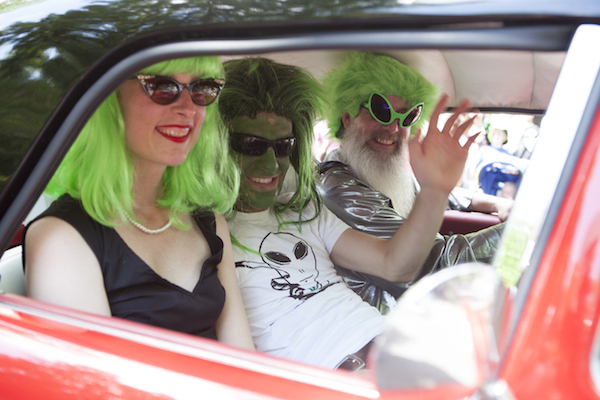 The four-day event is one part UFOlogy (seriously) and one part wacky, other-worldly fun. 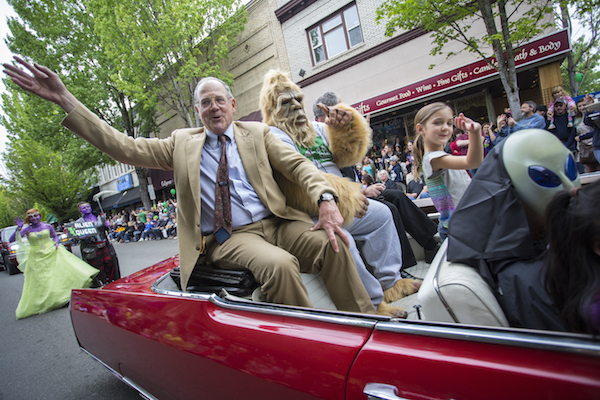 Hundreds of people attend the speakers’ conference at Hotel Oregon, which this year included scientists, an alien abduction researcher and one abductee. Thousands more line the streets for the extraterrestrial-themed Alien Costume Parade. Other events include the Abduction Dash, Alien Pet Contest and Alien Costume Ball. There’s live music and a roof-top bar. Plan now to attend next year’s festival, May 19 to May 22, and start working on that costume. Hotel Oregon is already full but check with the McMinnville Downtown Association for other accommodations. The high alpine lakes, granite mountains, pine-scented air, heather rock gardens and wildflower-covered meadows of the Eagle Cap Wilderness in the Wallowa Mountains are natural splendors that anyone can behold with a bit of effort. To access a less-traveled section, tackle the sixteen-mile, two- to five-day loop from Main Eagle Creek Trail (or Boulder Park) at the southern end of the wilderness, forty-five miles northeast of Baker City. The Wallowa-Whitman National Forest Service classifies this trail as “more difficult.” Hikers start at about 5,000 feet elevation and will ascend and descend many times along the trail. Side trips include Lookingglass Lake, Eagle Lake and Needle Point. Other lakes close to the loop include Bear, Cached, Arrow and Heart. The Forest Service recommends going in summer and fall. July and August are optimal. Skeptics and believers alike will be entertained at the Oregon Vortex and House of Mystery at Sardine Creek near Gold Hill in Southern Oregon. The laws of physics are upended by “a spherical field of force, half above ground and half below ground,” according to the Oregon Vortex website. Strange phenomena within the magnetic whirlpool include a broom that stands upright without support, objects appear to roll uphill and people appear taller or shorter, depending on where they stand in the vortex. Everything about the House of Mystery, an old miner’s shack built in 1904, is off kilter, offering visitors interesting and weird photos to take home. The Oregon Vortex is open between March and October, and all visits include a guided tour. Tu Tu’ Tun Lodge takes its name from the Tututni, an American Indian tribe that lived along the Rogue River. 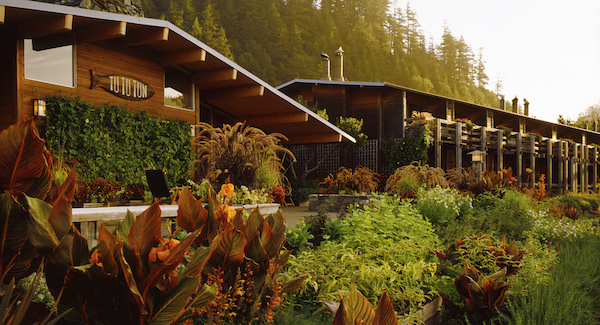 It means “gathering around water,” according to Kyle Ringer, owner and innkeeper of the lodge, which sits on a wide bank of the famed Rogue River nine miles outside Gold Beach. The resort’s subtle luxury accommodations seep into a guest’s psyche—from the warm greeting of Ringer and his staff (don’t be surprised if they remember your name on your second visit) to the comfy and well-appointed rooms. 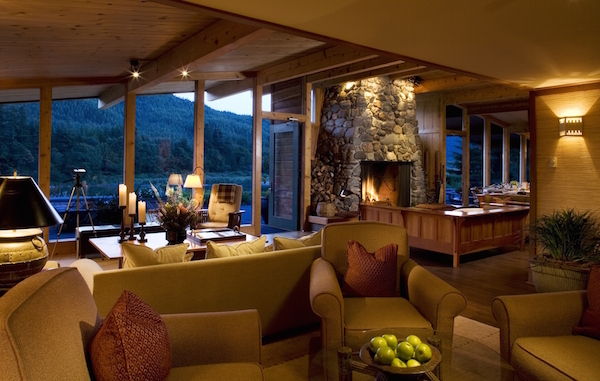 Guests enjoy snacks and cocktails in the Northwest-style lodge with a huge wood-burning fireplace and outside garden terraces. Meals are served in the communal dining room. If you want to enjoy a gourmet five-course meal, book dinner with your room reservation. The cuisine is second to none, and in the off-season, Ringer pairs chef dinners with wine tasting. 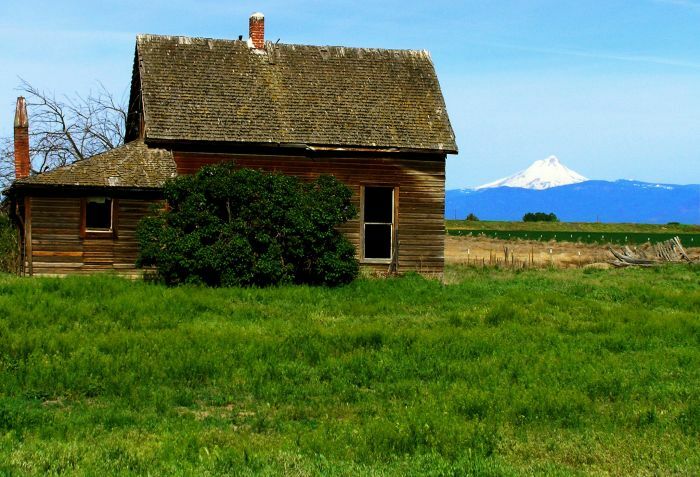 Surprise the kids with a nighttime excursion out lonely Highway 20 between Bend and Burns. They’ll think you’re planning to leave them in the middle of the desert for not doing their chores. Watch their curiosity grow as you turn onto a gravel road, dim your headlights and drive to the top of a mountain. Hand them flashlights covered with red cellophane and follow the trails to the domed buildings. There the telescopes of Pine Mountain Observatory will dazzle and delight the whole the family. Three reflecting telescopes (fifteen-, twenty-four- and thirty-two-inch diameter telescopes), are each housed in a separate dome. Amateur astronomers give tours starting at sunset on Friday and Saturday nights in summer, through September. In addition to avoiding cloudy nights, Mark Dunaway, facilities supervisor at the observatory, said not to visit on a full moon, adding that the best nights for viewing deep sky galaxies are two to eight days after a new moon. At 6,300-feet elevation, the observatory can be cold, so bring warm clothing and fill up the car before leaving Bend or you’ll be searching the skies for a friendly UFO to hitch a ride home. Don’t miss your chance to be among the first to cross Portland’s newest span, Tilikum Crossing, on August 9, 2015. Providence Bridge Pedal is the inaugural public event before the bridge officially opens on September 12 to light rail, buses, bicycles and pedestrians. In its twentieth year, the bridge pedal features several routes, from the thirty-five mile, eleven-bridge (St. Johns to Sellwood) ride to shorter nine- and seven-bridge routes, a kids’ pedal and a six-mile bridge stride for walkers. Event director Rick Bauman expects about 20,000 people to participate, from young children to people in their 90s. “This is not an athletic competition,” he said. “It’s a community bike ride and walk, an opportunity to get out and explore the city’s streets and bridges.” He observed that in nineteen years of the event, it has never rained. When participants finish their rides, they’ll have free admission to Bite of Oregon, a food and music festival at Waterfront Park. 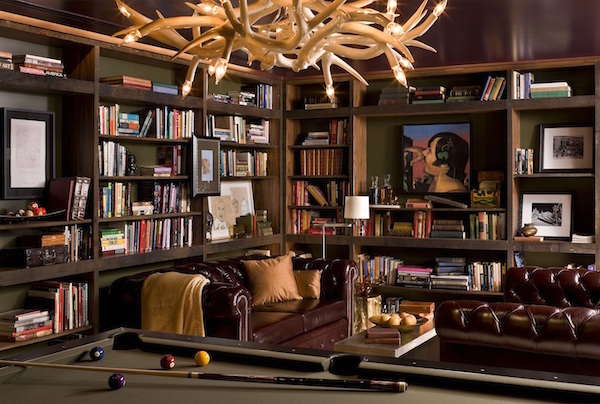 De-stress with a weekend at the Allison Inn & Spa in Newberg. Its eco-friendly architecture, original art, acclaimed Jory Restaurant and wine menu, the luxurious spa and swimming pool, in-room fireplaces and views of surrounding vineyards will impress and relax you. Allison managing director Pierre Zreik suggests a couple’s massage, live jazz on Friday and Saturday nights, breakfast in your room and a day in wine country for a romantic weekend. Arrange a private or semi-private tasting at Soter Vineyards near Carlton. Bring a bottle of Soter’s Mineral Springs Brut Rosé back to Jory for pairing with locally sourced food. If you want a truly romantic evening, snuggle up with your honey in the privacy of your own car and go see a movie at the 99W Drive-In. It has been in continuous operation in Newberg since 1953. In summer and fall, as many as 150 people per night show up at the Cowboy Dinner Tree in Silver Lake to attempt the impossible: eat their way through large top sirloin steaks or whole roasted chickens. For years, the site was a favorite of local ranchers driving cattle between Silver Lake and Sycan Marsh who stopped for shade under the big juniper and ate chuck wagon beans and biscuits. Today the juniper tree is bigger and so is the menu. 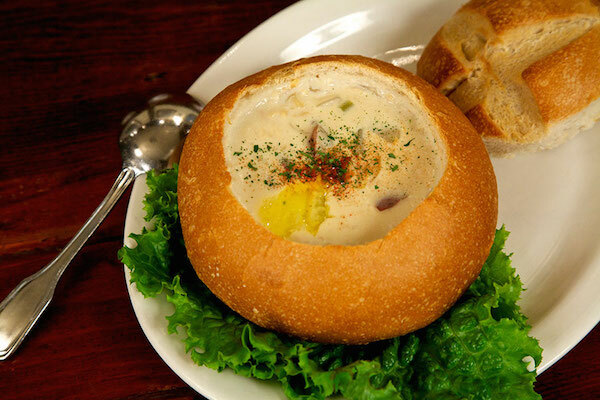 Soup, salad, rolls (some say the best they’ve ever eaten), baked potatoes and dessert round out the feast—expandable waistbands optional. Drinks include coffee, iced tea or pink lemonade, but no alcohol. Guests can bring their own adult beverages to consume outside of the restaurant. Besides the food, visitors come for the authentic Western setting. “We’re the real deal—we don’t have to make it rustic. It is rustic,” said Angel Roscoe, who co-owns the restaurant with her husband, Jamie. Reservations are required; bring cash. 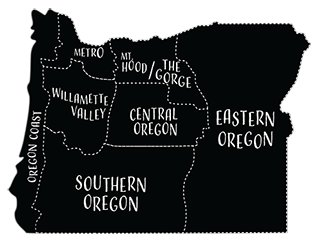 Despite being in a sparsely populated section of southeastern Oregon, the restaurant is busy year-round. Warning: Taking kids to Powell’s City of Books can be scary. Without a map, you can get seriously lost in the maze of aisles that comprise Powell’s City of Books, the largest independent bookstore in the world. It’s fun to wander the city-block’s-worth of new and used books, literally numbering in the millions. This iconic Portland institution, located in the Pearl District, buzzes with people buying and selling books, students and tourists wandering around or sipping lattes in its café and authors doing readings. Challenge the kids to locate the children’s and young adult sections while you find the sanctuary of the rare book room. Don’t be surprised when everyone’s arms are full of books and audiobooks at check out. “The most beautiful trail I’ve ever hiked,” Tiffany Farrell said of her three-day backpacking experience last August on the Timberline Trail that loops around Mt. Hood. She and her then-15-year-old son, Kersey, hiked from Timberline Lodge west and north, completing about twenty-five of the forty-one miles. Avid backpackers, the pair plans to finish the loop this summer. Farrell, of Bend, said hikers have many options for side trails, which she described as stunning canyons with majestic waterfalls. It’s a strenuous hike that sometimes requires fording rushing rivers at waist level. But it’s worth the challenge, she said, adding that they saw wildflowers and ate their fill of wild salmon berries, huckleberries and blackberries. Check with the Forest Service Hood River Ranger District for trail updates before attempting this hike. A portion of the trail on the east side past Cloud Cap washed away and requires planning to navigate. If digital marketing excites you (you know who you are), don’t miss the next SearchFest sponsored by SEMpdx, a Portland-based group that strives to keep people abreast of rapidly evolving ideas and technologies in digital marketing, including search engine and social media marketing. For anyone not in the loop, digital marketing promotes products and services through the internet and other digital channels. Search engine marketing is the art and science of promoting your digital presence on search engines. “Our industry attracts creative and passionate people who want to be involved in the next new thing,” said Alan George, SEMpdx president and the marketing manager at Columbia Steel Casting Co. The last SearchFest drew 500 attendees and thirty industry experts as speakers; the next conference is March 10 at the historic Sentinel Hotel. And if you need a fix of nerdy networking before then, buy a ticket for SEMpdx’s Rooftop Networking Party on August 11 at Embassy Suites in downtown Portland. 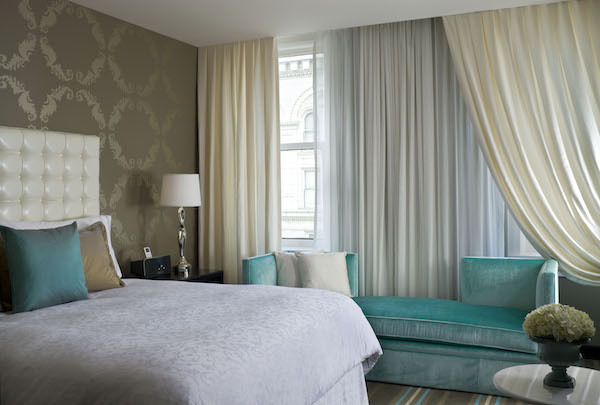 The Nines wraps its guests in Pacific Northwest contemporary art and gastronomic bliss. Built above the historic Meier & Frank Building (now Macy’s), this luxury hotel displays 419 pieces of original art in the atrium, restaurants and lobby—sculptures, paintings and installations. Among the pieces is a thirty-foot-tall chandelier in the grand stairwell. Ask the concierge for an art tour of the collection. The name of the rooftop restaurant, Departure, is a clue to what you’ll experience when you step into this space—Star Trek tinged with vortex? The cuisine is Asian inspired. Try the Wagyu steak served on a sizzling hot stone. For pure decadence, order a custom plate of cheeses and accoutrements from the cheese cart concierge at the Urban Farmer restaurant in the upstairs hotel lobby.